Simeon Tienpont’s crew onboard AkzoNobel set an incredible new record for the greatest distance sailed in 24 hours in the history of the Volvo Ocean Race. Leg 9 saw them smash out 602.51nm en route from Newport, USA, to Cardiff. 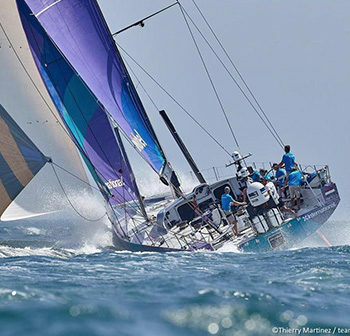 With their VO65 hitting top speeds of 32 knots, AkzoNobel sustained some phenomenal sailing over a 48 hour period during the critical double points leg. This new record bested the previous record of 596.6nm set by Torben Grael and the Ericsson 4 VO70 crew during the 2008-9 Volvo Ocean Race. That the VO70s where longer, more powerful and not limited by the one design rules that the VO65s all have to deal with, goes some way to proving just how impressive and effort the new record is. Beating Torben Grael’s record was particularly special for one of the AkzoNobel team, Torben’s daughter and 2016 49erFX gold medallist, Martina Grael. The 2017-18 Volvo Ocean Race was the closest edition of the world’s premiere round the world race that has ever been seen. 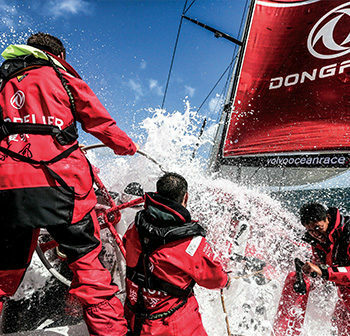 Going into the final leg after something of a rollercoaster final half-lap of the planet there was a three-way tie for the lead, between Dongfeng, Mapfre and Brunel. The neutral could easily find reason to cheer on all three teams gunning for overall victory in the race, but a thrilling final leg saw Charles Caudrelier’s Franco-Chinese team clinch the victory. The team had been set up ahead of the start of the previous edition of the event with a view to introducing Chinese sailors into offshore racing and had been roundly dismissed. They were strong in that race and managed to continue development into this edition, winning and coming home with the shortest elapsed time. 42 days, 16 hours, 40 minutes and 35 seconds. 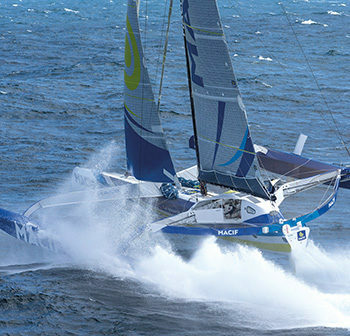 That is the new record set for sailing around the world solo after Frenchman François Gabart completed his flying lap of the planet in his Ultime Trimaran, Macif. There are almost endless numbers to put just how impressive this achievement is into context, but a few of the key facts for us are: Average speed around the world, 27.2 knots; 851 miles in 24 hours (an average of 35.4 knots). One thing that truly puts into perspective how big of an achievement this is for the solo-sailor was that his overall time was a mere two days behind the all-time, fully-crewed record! With the Macif now having been refitted with hydrofoils (and a new Banque Populaire and Gitana both featuring foils) plus a new Macif Ultime under design/construction the question is, how long will this record last and might it be Gabart himself who beats it? The J/70 is renowned for its tough competition; the fleet regularly attracts some of the world’s best sailors. One design racing at this level is an incredibly tight affair, so for Mark Lees and his young team of Annable Vose, Hannah Peters and Toby Mumford to have taken their boat out of the wrapping just one day before the J/70 UK Nationals got underway, and to walk away from the regatta with the overall win after three days of tough racing, is extremely impressive. The team put their success down to a number of factors: getting off the startline cleanly meaning they were usually in the top few at the windward mark; clearly defining the roles of everyone onboard ahead of racing, particularly important in a short handed class; and keeping relaxed onboard without any blame or arguing. 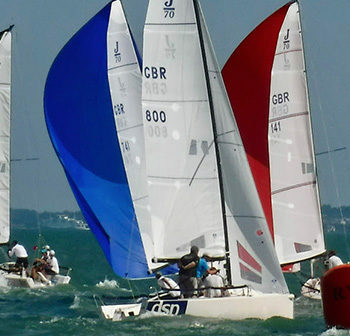 The Fast40+ fleet is fast becoming one of the most competitive grand prix keelboat fleets in the world, attracting top names and no small amount of investment for those looking to take part. This season saw the much-heralded entry to the fleet of Niklas Zennström after his Rán team moved over to the series from TP52 racing. The team’s Carkeek-designed yacht came out of the shed at the start of the season looking pretty radical and progressive. 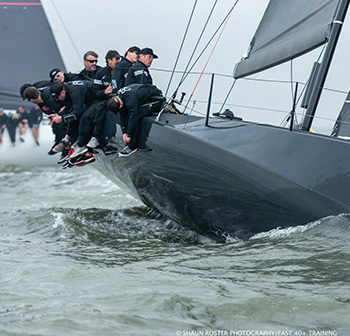 She hit the water just in time for the first event of the seasons, and from there, this slick team proceeded to dominate, winning the Fast40+ National Championships, Cowes Week, and the One Ton Cup. 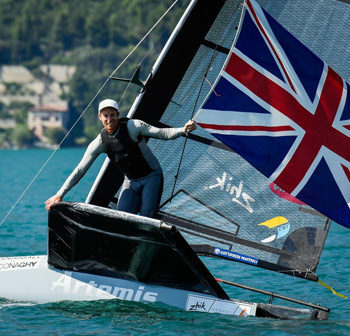 2008 British Laser gold medallist, Paul Goodison has long been held in high esteem – it’s not every sailor who has won gold medals, and worked for America’s Cup teams. But uniquely he has truly achieved something special in winning three straight International Moth World Championships in three quite different venues: Japan, Italy and Bermuda. The Moth is not an Olympic class, but the calibre of sailors competing in the class is arguably as high, with America’s Cup winners, Olympians and pro sailors usually dominating the gold fleet at major events. For Goodison to take three-straight wins in three different venues all while the class continues to develop is phenomenal, and he’s the first sailor to achieve back to back wins since this elite development class took to foiling.